Those little girls. They love their toy mice. 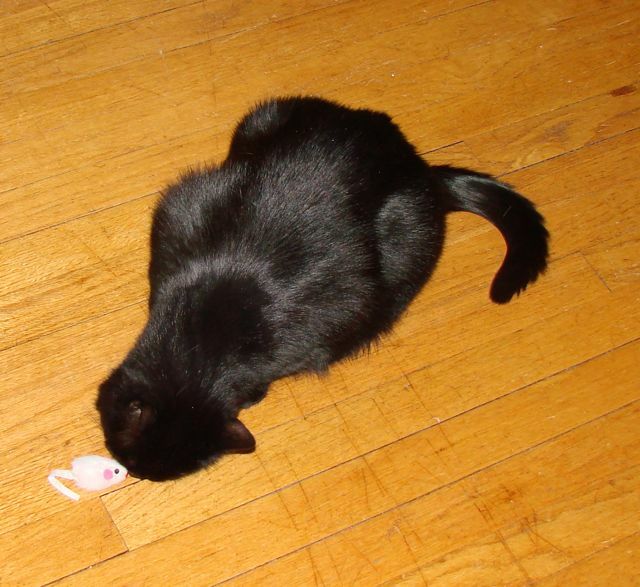 Invariably, they play with them, a-hem, I mean they hunt them for awhile. 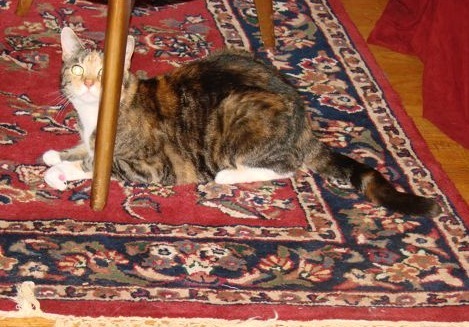 Then suddenly the mice seem to go into hiding. 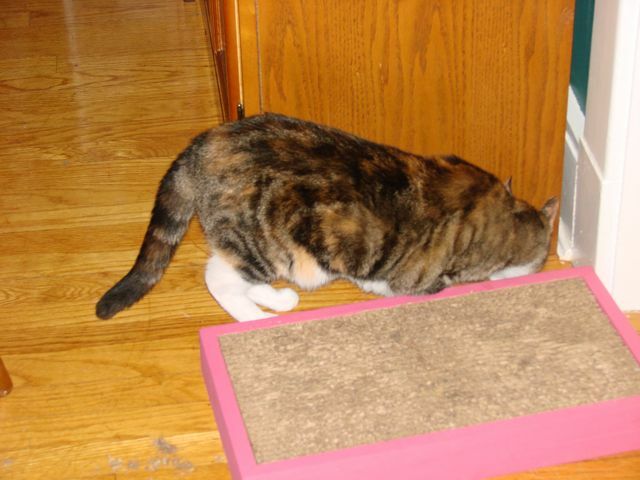 For Tillie, the mouse has wondered under that famed “Lost Mouse China Cabinet,” where, were one to move the cabinet, scads of frightened, hiding toy mice would be trying to evade our cats. 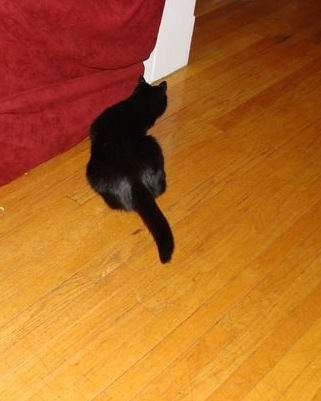 Cliche’s mouse seems to have gone behind the couch, also not uncommon. Oh my! Thank you for the very exciting, action-packed post! I’m serious, our cat doesn’t do anything. Hope to see you again soon.